Rodeo John Knox was so much fun! Two Night Get-Away for Two! Raffle tickets for Dining Around the World gift cards will be $3.00/ticket or 2 tickets for $5.00. Each gift card included in this package has a value of $50. The restaurants included are: Perry's Steakhouse (American), Rudi Lechner's (German), Maggiano's (Italian), Simply Greek (Greek), Texas de Brazil (South American), Abuelo's (Mexican), Bistro Provence (French), Arco (Chinese). Total Value: $400!! Smoked Meat Package! Includes 26 lbs. of smoked bacon, brisket and pork! 1. Dessert of the Season - Have a special occasion that calls for a special dessert? With this package you'll get 4 homemade desserts delivered to you - 1 during each season - to share with your familiy and/or friends! 2. 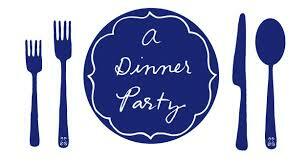 Dinner Party for Six - Fully catered dinner party for 6 in your home. Includes 2 bottles of wine, appetizer, soup and/or salad, entree and 1 or 2 sides and dessert. Also included is table setting and centerpiece, serving to you and your guests and clean-up! 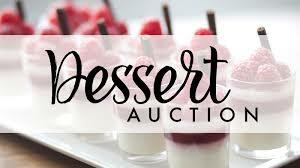 Get your tickets to the dinner and auction by calling 713.462.5448.